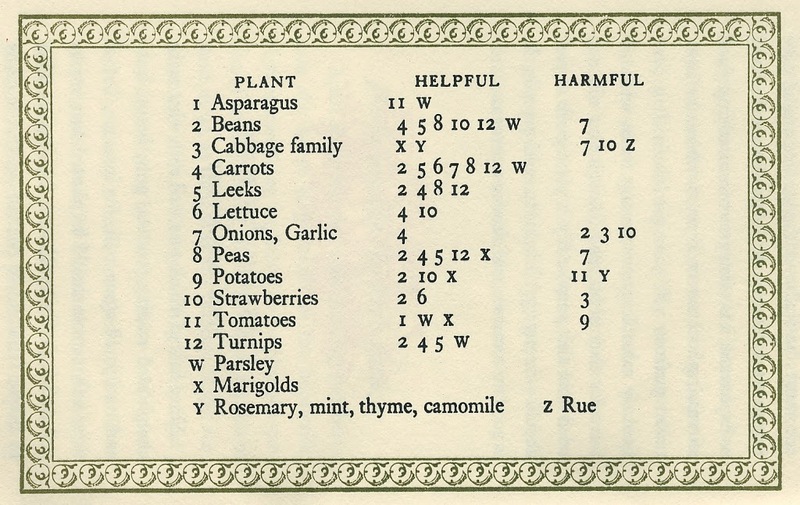 [S]ince lists of which goes well with what make complicated reading (carrots, peas, beans, leeks and turnips all agree well, for instance, but of these only carrots should be planted near onions and garlic), a table would seem the simplest thing to follow. And so they provide one. A more detailed table is here; an extensive list of “which goes well with what” is here. As you are planning your flower and vegetable gardens, just remember that some make better neighbors than others. * A note about grammatical errors: some are intentional.